A barter trade connecting people across Kashmir’s “Berlin Wall” is perilously close to being shut down. In October, US Secretary of State Rex Tillerson landed in South Asia on the ninth anniversary of a rare “Berlin Wall moment” in Kashmir. 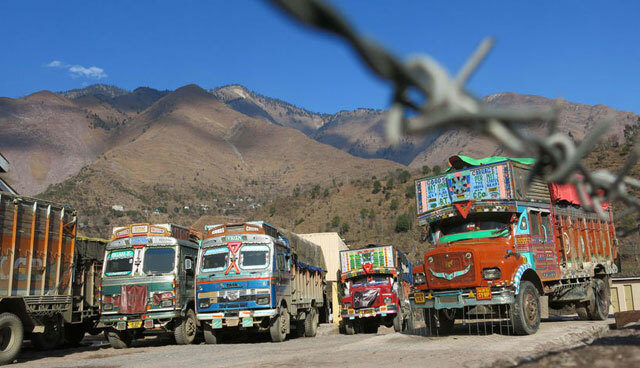 In October 2008, Indian and Pakistani leaders opened up the heavily-guarded Line of Control (LoC) in Kashmir for small-scale, barter trade. Ending decades of separation, beautifully decorated trucks traveled across the line for the first time. Kashmiris from both sides gathered on “Aman Setu” (Peace Bridge) and exchanged hugs, gifts of dry fruits, and salty tears.